You know you’re going to have a good day when you’re invited to a “quaffing by day, sailing at dusk” adventure in Cape Town. Diane was fortunate enough to attend this event last week hosted by our partners on the ground. She was accompanied by James and Kim, two specialist guides we often use for private touring. 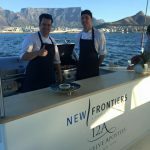 The day started in the magnificent Cape Winelands and then returned to the Victoria & Alfred Waterfront for a sophisticated sunset cruise on board the super-luxury yacht, The Mirage, catered by The Twelve Apostles Hotel. 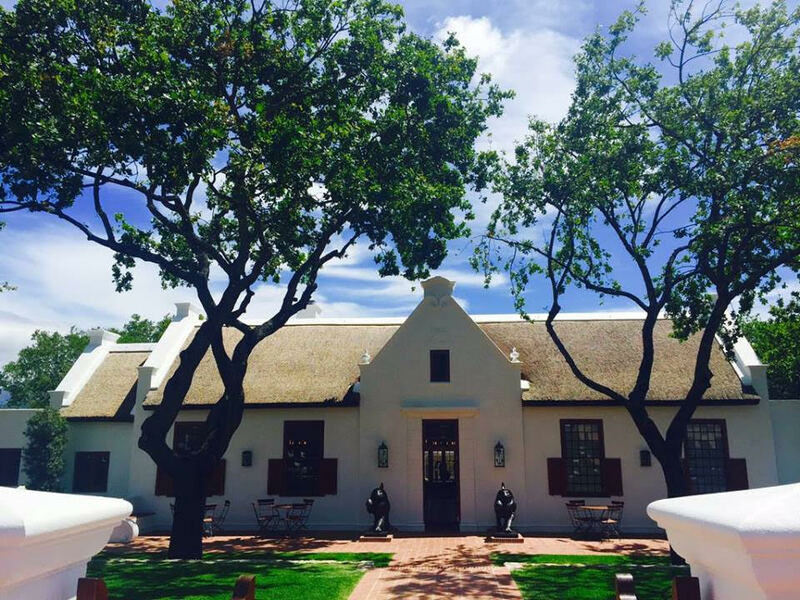 First stop on our winelands tour was Babylonstoren, a historic Cape Dutch farm that has the most magnificent garden laid out over 8 acres. Since my last visit some 4 years ago, they have renovated an old farmhouse into the beautiful farmhouse suites with their own swimming pool and unique garden spa area. Also recently built is a beautiful Tasting Room offering expansive views of the Franschhoek Valley which we enjoyed while manager Terry (a passionate professional), treated us to a wine tasting of their own Chenin Blanc, Voignier and award winning Shiraz wines and exquisitely presented (and absolutely delicious) platters of artisanal breads with handcrafted cheeses, smoked meats, fresh vegetables served with homemade herb oils, chutneys, preserves and relishes. Next stop was the picturesque town of Franschhoek, where we stopped in at the brand new Leeu House. Just down the road from the classic Le Quartier Francais. 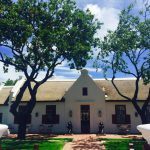 It has been beautifully renovated while still retaining the original Cape Dutch architecture. 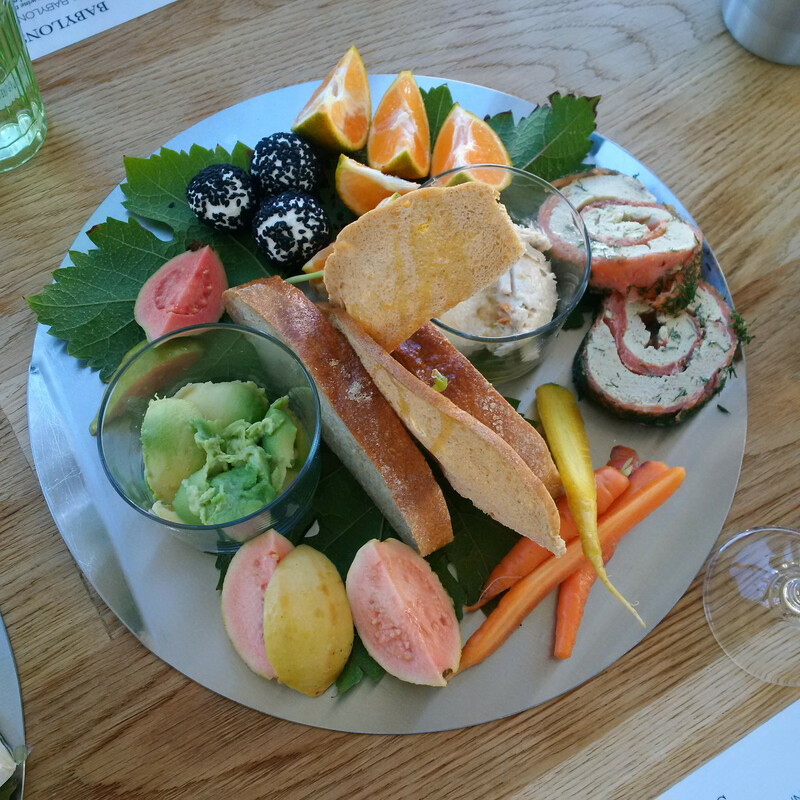 We were welcomed with a glass of Mullineux sparkling wine and beautiful canapes crafted by chef Oliver Cattermole. Leeu is in partnership with Chris and Andrea Mullineux, the talented husband-and-wife winemaking team behind their award-winning portfolio of wines. We continued on to Le Lude, which was a new discovery for me – and now will most certainly become a strong recommendation to our clients for a fascinating cellar tour and lovely lunch. On a visit to the Franschhoek Valley during the first British occupation of the Cape from 1795 – 1803, Sir John Barrow wrote, “Nowhere have I seen the sublime and the beautiful, the tame and the terrible so well arranged”. Nic Barrow had these words in mind when he and his wife, Ferda, bought a small Franschhoek farm with the dream of producing only the finest Cap Classique. Over the past five years they have planted it with the classic champagne varietals of Chardonnay, Pinot Noir and Pinot Meunier. The first harvest took place in 2012, with the Brut and Rosé first released in September 2015. This was truly the finest South African sparkling wine I have ever tasted. We had great fun watching several in our group participate in the Napolean army’s tradition of sabrage – a technique for opening a champagne bottle with a saber! 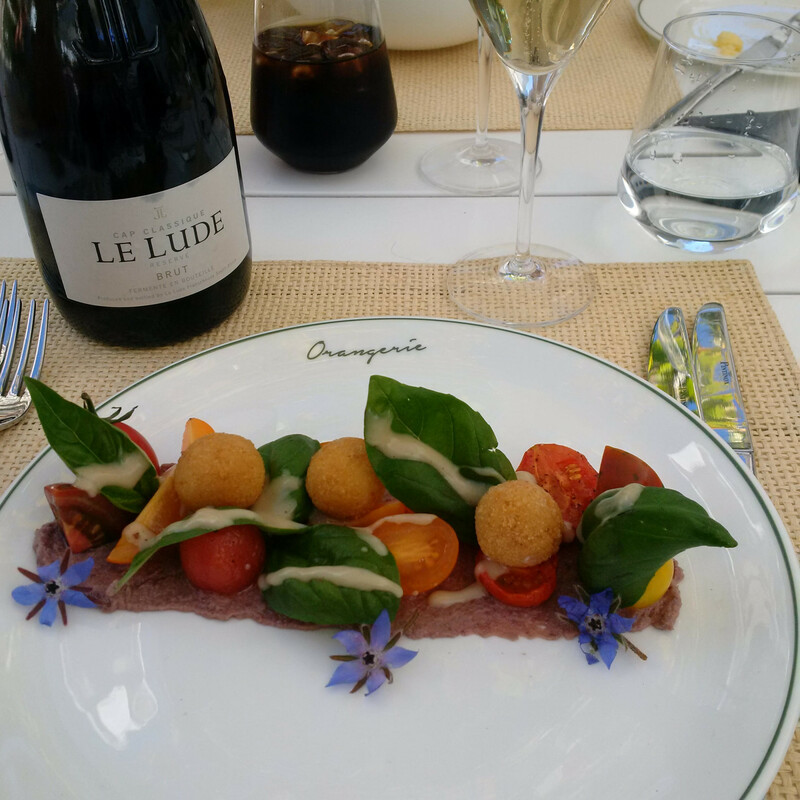 We then sat down for lunch in the garden at Orangerie, which was artfully presented and tasted just as good. After all that food and wine, there were a few closed eyes on the drive back to Cape Town – but all were wide awake as we boarded the new, magnificent, one of its kind luxury, custom built 76 foot Catamaran yacht. Recently introduced to the V & A Waterfront, it’s a ‘must do” for anyone who enjoys sailing, cruising, or just being on the water with a view of the Cape Town skyline and coast from a different vantage point. 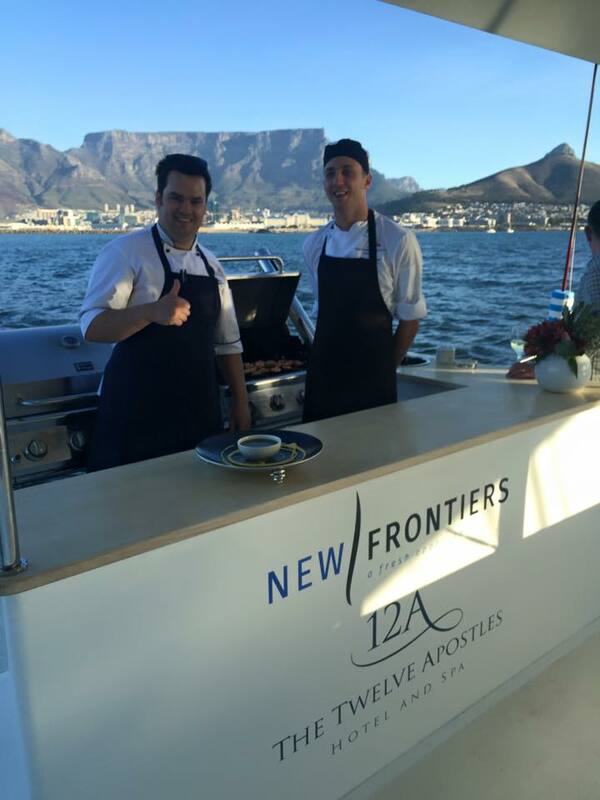 On our sunset cruise, Twelve Apostles Hotel provided the champagne and canapes as we sailed down the Atlantic seaboard. We were lucky enough to also have the most perfect weather to enjoy this spectacular sail. While ours was a private charter, The Mirage offers scheduled trips at very reasonable rates either during the day or at sunset.